Tune in as Dr. Richard J. Davidson joins Sister Jenna on the America Meditating Radio Show to discuss The Emotional Life of Your Brain. Dr. Davidson is a renowned neuroscientist and Professor of Psychology and Psychiatry at the University of Wisconsin-Madison as well as the founder and chair of the Center for Investigating Healthy Minds at the Waisman Center and Director for Brain Imaging and Behavior and the Laboratory for Affective Neuroscience. He has published more than 275 articles and ... Maggiori informazioni reviews and edited over 14 books. He is the author of, "The Emotional Life of Your Brain," and is best known for his groundbreaking work in studying emotion and the brain. 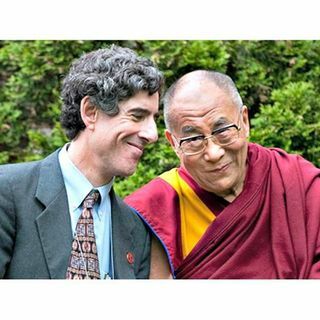 A friend and confidante of the Dalai Lama, he is a highly sought after expert and speaker internationally. Dr. Davidson has been featured widely in popular media, including ABC’s Nightline, National Public Radio, Time Magazine, Newsweek, O, the Oprah magazine, PBS’s the Charlie Rose Show, Harvard Business Review, to name a few.